I will extract 30K emails for Your Target Email Marketing THEN I WILL VERIFY THEM SO THEY ARE 100 percent real emails. I'll give you at least 2,000 bonus overflow emails. Just send me 3 to 5 keywords and I will get you emails related to your niche that will grow your business! My emails are always new fresh extracted emails that will be great for growing your business or making you money with your affiliate marketing. 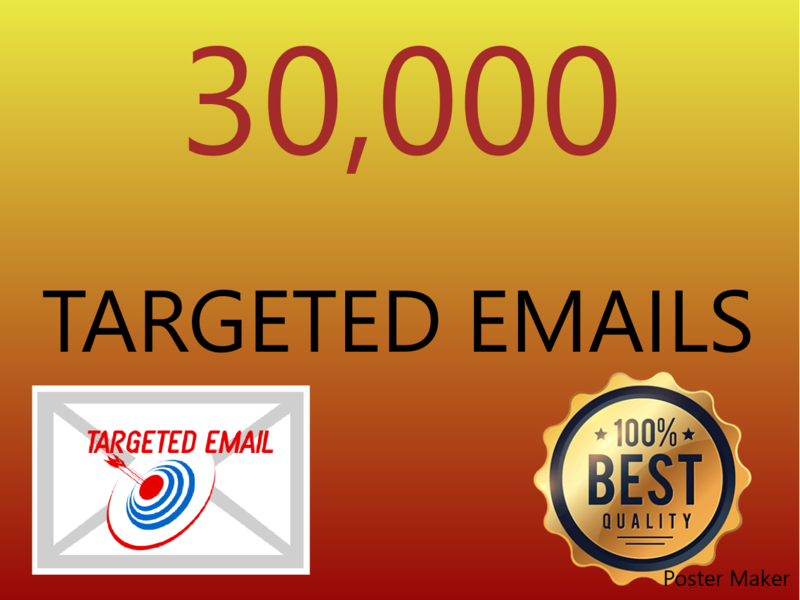 I will extract 30,000 keyword targeted emails for you is ranked 5 out of 5. Based on 3 user reviews.